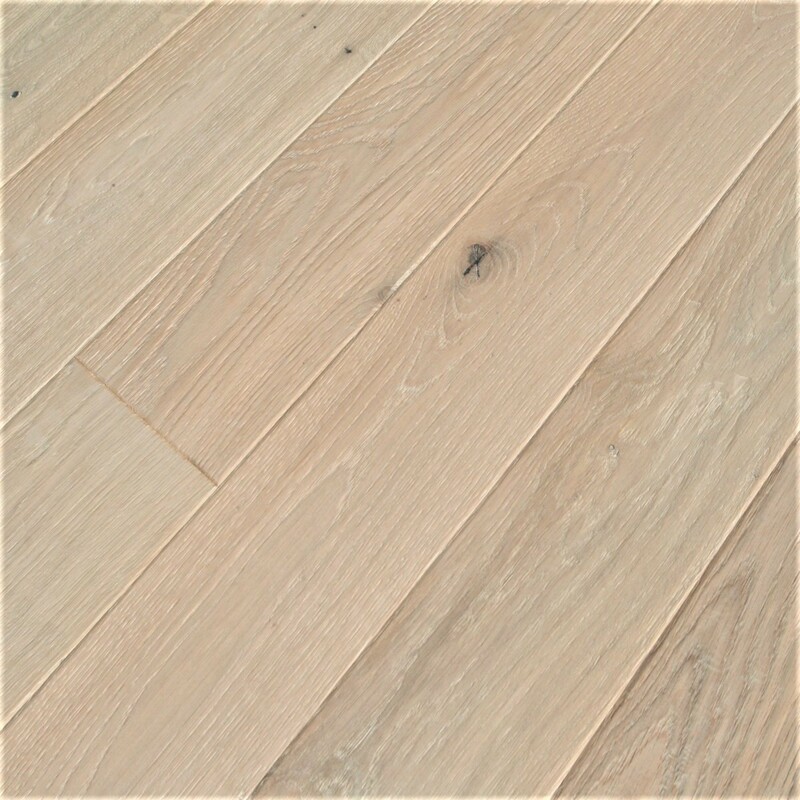 Our French oak Vintage Ivory has a gorgeous, light wood tone reflecting a modern or contemporary style. 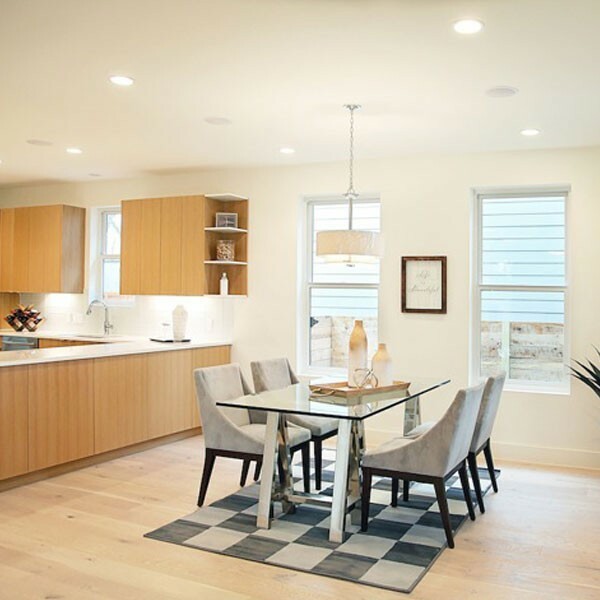 It has enough variation to give it character yet is clean enough to pull together any other colors you have going on in your space. 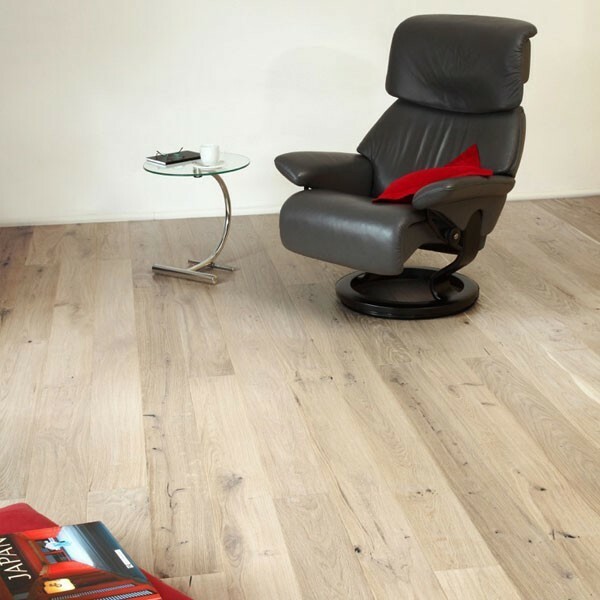 Do you want a floor that is modern and elegant? 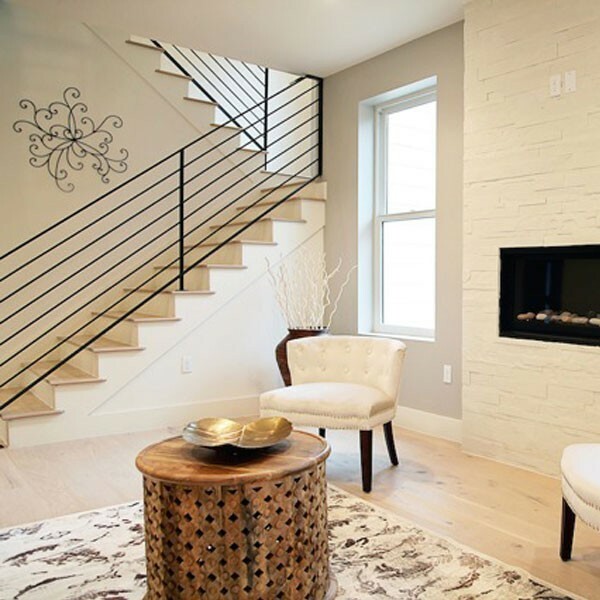 This beautiful light colored floor looks great in a space that gets lots of light. It will even change hues as natural light shines on it. 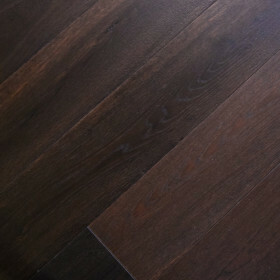 This is one of those floors that looks like it came out of a home decor magazine. 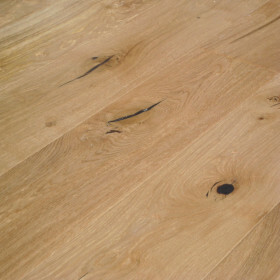 The UV-Oil finish is very easy to maintain; scratches and scuffs can be easily repaired without sanding. 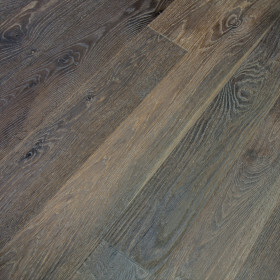 The Vintage Collection is made by balancing a thick top layer of solid sawn French Oak over a base of solid wood substrate. 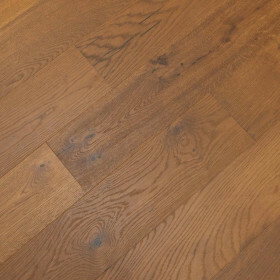 By using solid lumber as the core product for balance, the finished product becomes one of the most stable engineered hardwood products on the market. Due to a special aging process of wire brushing, hand scraping and distressing each individual board provides a unique appearance. This process creates a truly authentic distressed style. This state-of-the-art white wash technology displays the same color throughout the entire top layer. 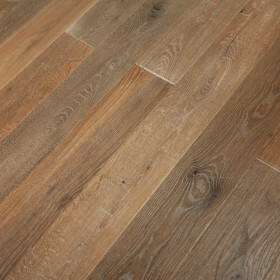 This process of color treatment enhances the wear-ability of the wood by camouflaging any deep scratches which may occur from use. 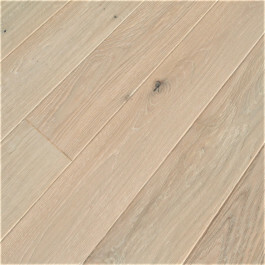 Vintage Ivory distressed French oak is a white wash that is impacted by the lighting placed on it or windows allowing the light of day and moonlit nights to change its reflective hues. Because of its ability to respond to the intensity of light, it has the unique ability to adapt to lighting changes within the room. 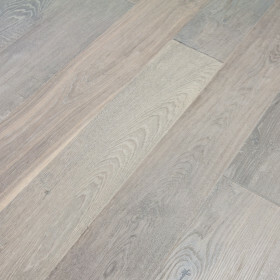 It offers a unique flooring capable of supporting the most modern of tastes while also reaching back to an earlier time when elaboration and excess were seen as necessary for elegant living.